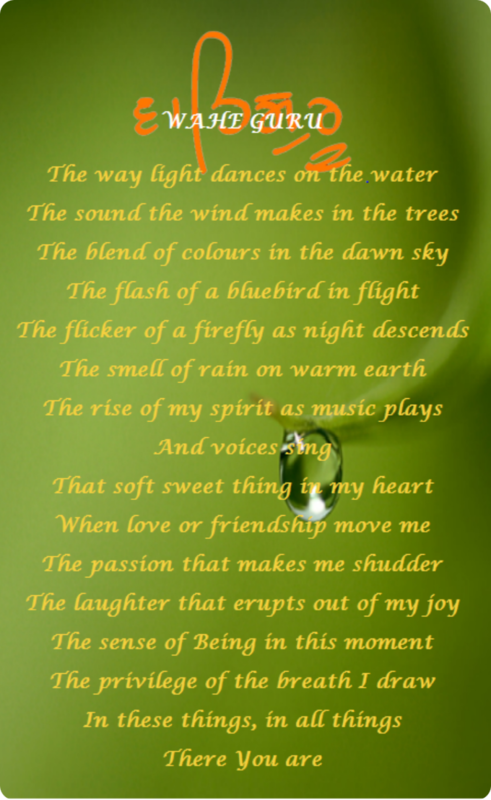 "The Fragrance of You" which is available on Amazon.com. From the author: "These words come to me, like whispered prayers. They arrive when I am am open and soft, which may be after a time of deep meditation, or as I process the pain and ecstasy of human relationship, or when I am deeply moved by the beauty of the physical world around me. All of it speaks to me of The Divine, woven like a fine, silken thread throughout all of existence". Reminiscent of Rumi’s exquisite revelations, these “naked”, pure and powerful encounters with her Beloved Within vividly paint the profound, achingly intimate relationship with the most precious Essence that never ever leaves us, but is always being rediscovered and reignited. That is Pure Love! Love that springs to piercing Life as it sheds boundaries, judgments, and conditioning. Love that entwines the Beloved and Lover in the dance of ecstasy. Real! These amazing poems and passages will inspire the deepest awareness of your students during a yoga class, and they will transport you to rendezvous with the most real, most pure Love within your own divine Soul Self. You will be mended, intrigued and cherished as you are entwined with your own best Beloved Within! I have just finished reading your poetry. This is not a review. Because I believe that your work is unsuited for that mundane intellectual approach. What I have seen and heard is a passionate, fiery yet meditative and deeply reflective voice that is moved by Nature, yes, as are so many: but all of the tapestry of this presentation is imbued with, informed by, deeply inspired by your love of the Divine, on every level of your existence. Your work is a love song to GOD, a paean to the Divine, a celebration of the Celestial Maithuna that is our Eternal embrace with that which is The ONE. Some may find the work simplistic, repetitive, one dimensional. Those who do, are unable to truly appreciate and comprehend the tenor of your unique voice and the incomparable depth of your relationship with the Divine. Of which your expression is an experience of ecstasy. Your understanding of the Light and Shadow which permeate all Life: of the value and necessity of life's challenges, are colourfully and adroitly drawn. May the flow from your pen continue for many, many years to come, as you continue to grow and the insights and inspiration flow. This is a beautiful book of devotional poetry. I find it reflective of the inner stillness and the peace that comes after a deep meditation. A great book to have on your bedside as a reminder of our human potential for wisdom. The photos are beautiful and the pieces are short enough that they fit today's fleeting attention span. I am reading short segments of the poems aloud during yoga class as a creative blessing for the students. My personal favorite is, just to give you a taste "NAAM ........And when one begins to Hear Free of judgement Gods Nam is everywhere." Thank you, Dr. Siri Amrita Kaur for this very freeing and female expression of the devotional path.